It’s that time again! Tailgating season! The football season has kicked off, and we are here to give you some great tailgating tips! We are for certain these tips will change the way you tailgate; for the better. It is an American tradition after all; to have great food over an intense match-up with your favorite teams. Take a look at some great tips below to get you off to a great tailgating season from the All Star Family! There is nothing better off to a great tailgating day than prepping and packing your tools and food. You can utilize your toolbox from your shed to pack all of your grilling utensils. You can also store your must have condiments and seasonings. No need to go out and spend money on a grilling carry pack, when you can make use of things around the house. Obviously, you would need to clean your tool box before storing eating utensils. Freezing bottles of waters for the heat in South Louisiana is not a bad idea either. 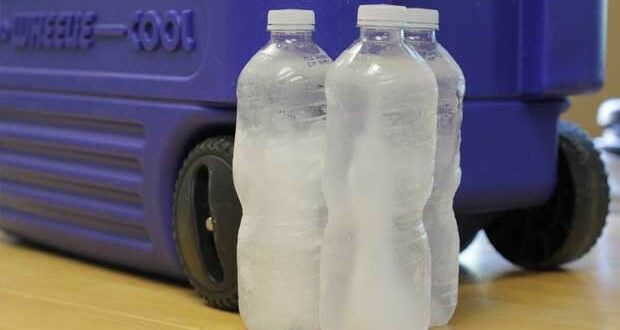 These frozen bottles of water can be use in the place of ice in your cooler, and best of all, you can get some chilled iced water as they begin to melt! We know what you are thinking; why hasn’t anyone thought of this before? You can thank us later for this awesome water game changer! Why not use that empty six pack and fill it with your favorite Louisiana Hot Sauces. We know you have a few favorites! This is a great way to limit the amount of trash in your tailgating space. Using things that would be otherwise thrown away, could save you money when the tailgating bill comes in the next day. These are just a few tips of many to get your tailgating day off to a kick start! Don’t let the pressure of a tough game get to you on game day. Just keep in mind, you are competing with other tailgaters out there, so why not be the best at it and take the win home! We are sure your favorite team will!